As we welcome in the new year, I am sure we would all agree that for various reasons we are living in interesting times, not the least of which is the Affordable Care Act and health care reform. A day does not go by where we do not hear significant negative and positive headlines about the possible impacts of the act and, in particular, its most significant components: The individual mandate and the insurance exchanges that offer coverage effective Jan. 1, 2014. What will the short- and long-term impacts be? Will more people be covered? 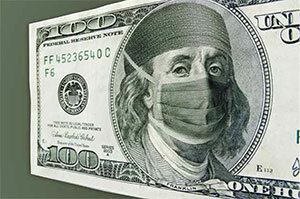 Will health care be more affordable, accessible and of higher quality? I do not think anyone really knows at this point; there is so much complexity and uncertainty. These are indeed interesting times as the actual impacts unfold and as the politicians, regulators, providers, patients and citizens all grapple with the impacts of the act and the future corrections and changes that will be required. I think it is important for us all to reflect on the reasons we have the act, which was passed nearly four years ago. At that time, health care in the United States consumed nearly 18 percent1 of the gross domestic product and was growing. We had nearly 50 million uninsured people with limited to no access to health care, we had health care costs for those who bought insurance raising at more than twice the rate of inflation, we had Medicare and Medi-Cal cost increases that were crippling state had baby boomers aging into Medicare at the rate of 10,000 per day for the next 10 years, and we had variable quality outcomes by providers and a system that incented payment for volume rather than quality and improved health2. The system that existed in 2010 was not sustainable without significant change. Whether it was this act, or whether it will be future changes to this act, or a different direction all together, we should all acknowledge that the status quo was not an option. There is much to like about the act: coverage for adult children on parents’ policies up to age 26, insurance companies’ inability to deny coverage for pre-existing conditions, no annual cap on health benefits, coverage for preventative services, expanded coverage for Medicaid-eligible patients, a new insurance marketplace for individuals, subsidies to purchase coverage for United States citizens earning under 400 percent of the poverty level, defined Essential Health Benefits that are included in all health insurance policies and payment models that reward quality not volume. There is also much to be concerned about the act. Can government, employers and individuals afford it? Are the cost assumptions accurate? What will be the effect of the individual mandate and employer penalties, and will we see a large shift to part-time versus full-time employment? How will the act impact providers and access to care, insurance premiums and actuarial assumptions if the young and healthy choose not to be in the system? Will providers be able to collect, or patients be able to pay, the high deductible and coinsurance amounts built into products? Given the size of the health care system in the U.S., the complexities of the many programs and the magnitude of the changes included in the act, I believe the level of uncertainty and noise around the impact is very understandable. Change is never easy; significant change is very hard. The most significant goal of the act is focused on delivering on what has become widely known as the triple aim: Improving the quality of health care (both individually and to the overall population), improving access to health care, and bending the cost curve. Many of the specifics noted above were aimed at changes to the existing systems and programs to positively impact improved quality, access and cost. While there have been many changes implemented under the act over the last three-and-a-half years, many of the most significant changes (particularly as it relates to access) are only now being implemented, and even the Obama administration acknowledges the many shortcomings of the recent rollout. In addition, there have been and continue to be continuous congressional and administrative changes to the act that are materially impacting some of the original cost and access assumptions (i.e., one-year delay of employer penalties, optional expansion of Medicaid benefits by state, changes to the individual mandate and catastrophic coverage to name just a few). Within every aspect of the health care delivery system, these certainly are interesting times. I believe that the next six months (and likely next several years) will bring significant confusion, uncertainty and some chaos as the implementation of the act continues. I also believe the goal of delivering on the triple aim is a good goal and that despite the uncertainty and barriers that have been and will be presented under the current act, that all stakeholders need to remain engaged and work proactively to be part of the solution. As acknowledged above, the status quo was not an option. In all likelihood the act as passed and being implemented is not the final solution. We all have a responsibility and a requirement to continue to work to ensure that the current system, when combined with future changes, will provide us with a better and more sustainable health care system for all. Mike Murphy is president and chief executive officer of Sharp HealthCare, where he oversees a workforce of more than 16,000 employees, 2,600 affiliated physicians and 2,100 volunteers. Murphy, whose career in health care spans more than 30 years, was appointed to his position in June 1996. A Southern California native, Murphy is a graduate of California State University at Long Beach and is a certified public accountant.